I just found this thing in a local thrift shop and was wondering if anyone here has ever seen this before? 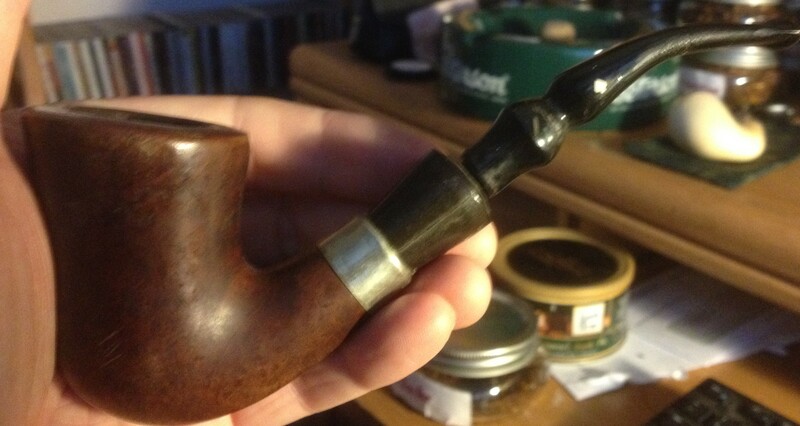 It's completely unmarked with the exception of the white spade on the stem which would say Dr Grabow to me but I don't recall them making anything like this. I guess this would be their version of a Peterson system, does this look familiar to you Grabow experts or to anyone for that matter? Looks like someone used a Grabow freehand stem on some other random pipe. Yeah, I looked at the Grabow Omega line first but there isn't anything like this. 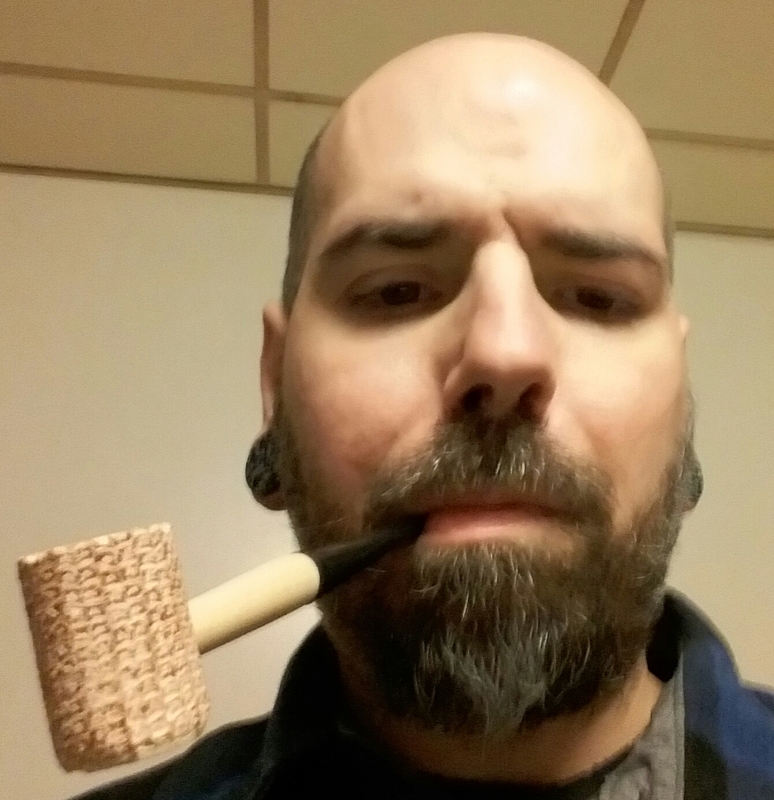 This guy has a HUGE bowl and is made with parts that I've never seen Grabow use before. Yeah it crossed my mind that it's probably a Frankenpipe, made in someone's garage but I want to make sure before I dissect it in case it's some kind of a rare Grabow. I actually bought it for the bowl, I'm thinking of making a big churchwarden out of it. The only reason I say that is because it looks like one of the later Grabow stems with the aluminum filter bayonet removed. 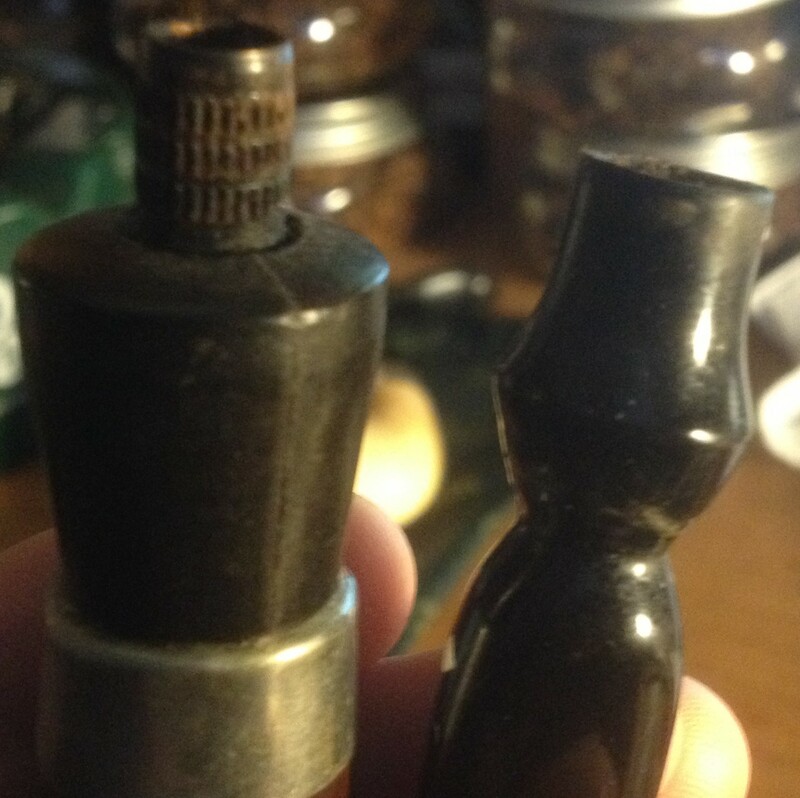 The aluminum/tenon/filter bayonet came out of the stem and is stuck in the pipe. Not a Grabow pipe, but the stem is off a Freehand. I guess I've never seen the other end of that bayonet before. lol! Ha, I see that now! Thanks Kevin, now I won't feel bad about hacking this thing apart!